Still not convinced that you need daily vitamins? Not many are convinced that they need to take vitamins every day. Some think that vitamins are just hyped-up pills that the ads have convinced us to buy. However, recent research has concluded that we now need vitamins and supplements more than ever, because of the very limited variation of the food that we eat. Humans are naturally omnivores, with its diet a balance of meat and vegetables. In the early civilizations, men are forced to eat based on the season, but that’s not the case with today’s diet. We eat whatever we want, whenever we want, which makes our choices plentiful, but our diet limited. As you age, your nutrient requirement goes up. That means that you’d have to eat selectively, but very few often pay attention to what they eat. That’s why people end up developing osteoporosis, nerve damage, eyesight problems, and many more. These could have been easily prevented with a daily intake of vitamins. Calcium for osteoporosis, B-vitamins for your nerves, Vitamin A for your Eyesight – the solution is readily available for you. It’s just up to you if you’d take it or not. Ever wondered why people are getting sicker now more than ever? It’s because of a vitamin deficiency. Vitamin C can be found in a lot of fruits and greens, yet it’s one of the vitamins that people rarely have enough. Vitamin C is involved in protecting cells, improving healing rates, and empowering your immune system. If you lack vitamin C, it’s easier to feel fatigued. The bad thing about Vitamin C is that your body doesn’t store it like it does fat. It’s water soluble, and it’s something that you would need to take on a daily basis. Calcium is one of the nutrients that you need on a daily basis for the rest of your life. Simply put, you can’t deal with weak bones as you age. Taking in calcium on a daily basis decreases your chance of acquiring osteoporosis. Weak bones break easily, and you wouldn’t want to be 70 with a cast around your thighs. A multivitamin with calcium is good enough to help you prevent weak bones. You’ve often heard of zinc when it comes to multivitamins. Its primary role is to boost your immune system, but it also helps in improving your sexual performance. Zinc is extremely important in boosting your sexual health, as it is an important nutrient for testosterone and estrogen production. Getting old is almost synonymous to getting extreme joint and muscle pain. That can be prevented by taking regular omega-3 fatty acid supplements. Omega-3 fatty acids work as lubricants to your aging joints, and they can greatly decrease the pain in your joints. Omega-3 fatty acids are not produced by the body, and we can only obtain them through food or through supplements. 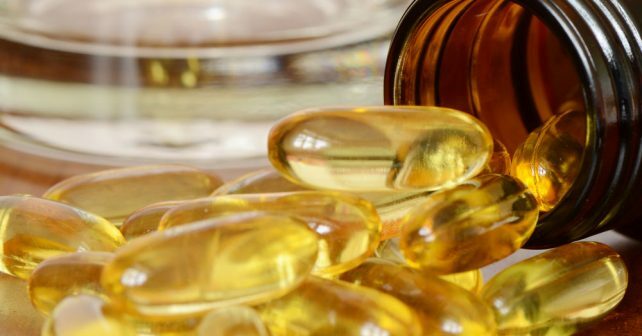 Supplements like Optimal Omega contain the highest amount of omega-3 in supplements, so make sure you check them out. Not everything that’s for sale is trying to screw you for your hard-earned money, especially supplements and multivitamins. Of course, not every product can be trusted, so make sure you do your research before making any purchase. For best results, try products like Optimal Omega and Ultimate Man Once a Day. We have thoroughly reviewed these products and found that they have the highest content of vitamins, which is extremely important for the health and well-being of men. These supplements are also formulated especially for men, which makes it easier to absorb by the body. Make sure that you check Optimal Omega and Ultimate Man Once a Day out to have a clean bill of health every day!